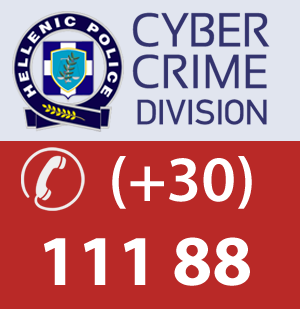 The Hellenic Police Intelligence Division (HPiD) is the Central Intelligence Hub of the Hellenic Police, focusing on combating all forms of crime, but mainly Serious and Organised Crime and Terrorism. The mission of the HPiD includes intelligence support and analysis of data deriving from preliminary judicial procedures to all Hellenic Police Agencies as well as to other National Security Authorities, Law Enforcement Agencies and Judicial Authorities. 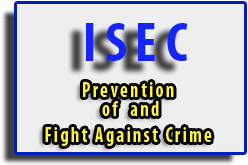 HPiD orientates its actions towards the prevention, identification or investigation of criminal activities, either in the framework of independent operational-intelligence activities, or through intelligence-support to other Authorities or Agencies, regarding serious and organized criminal behaviors inter-alia with cross border and trans-European dimensions. HPiD has administrative independence and falls under the direct authority of the highest hierarchical level, the Chief of the Hellenic Police; as for its regional jurisdiction, it extends all over the territory of the Hellenic Republic. Regional decentralized intelligence structures (Intelligence Departments and Offices) operating in the jurisdiction of the Attica and Thessaloniki General Police Directorates, as well as of the twelve General Regional Police Directorates along the territory of the Hellenic Republic, fall directly under the operational jurisdiction of the HPiD. 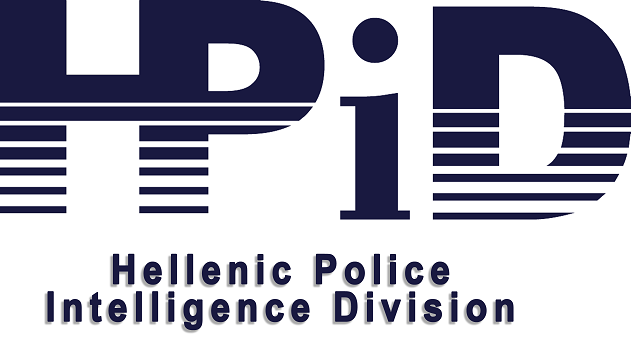 The HPiD, aiming at the orderly and effective implementation of its mission and applying the corresponding international standards of organization and operation, is structured internally in Departments and Sections, while it coordinates, supervises and controls both the work and the activities of the regional decentralized intelligence structures of the Hellenic Police (Intelligence Departments and Offices). Those Departments and Offices, which administratively come under the geographical police boroughs (General Regional Police Directorates), consist HPiD’s supportive foundations, so as any collected information or data about any form of criminality, concerning to local communities, to be reclaimed. HPiD preserves and enriches criminal intelligence databases, in agreement to the current legislation, while it also cares of data security. All of those collected data are classified according to their content and significance; they are exclusively used for investigation and prosecution of serious and organized crime and terrorism. Accordingly under the framework of International and European Police Cooperation and through established channels of police cooperation, HPiD collects information and data from international law enforcement agencies and reciprocates to external-foreign, International and European organizations’ requests of intelligence provision. The Hellenic Police Intelligence Division founded by the Article 22 of Law 4294/2014, as it was alternated with Law 4281/2014 and operates according to the ordinances of the Article 27 of Presidential Decree 178/2014. The institutional framework of the HPiD defines increased guarantees of control, transparency and accountability, including the supervision of the Division by Senior Prosecutor and the external control by Independent Administrative Authorities, but also special guarantees regarding staffing the Agency and selecting personnel as well as its obligations. The HPiD operation follows the International and European standards in the area of criminal intelligence and participates in all national and international fora, relevant to matters of intelligence and security. In cases of increased police and social interest, HPiD activates special phone line for citizens’ communication, according to the ordinances of the Article 27 par. 2 of Presidential Decree 178/2014. The above way of reporting crime does not apply to cases of emergency, requiring immediate police response. Management of such cases is not part of the responsibilities and the scope of the Hellenic Police Intelligence Division. In such cases you can contact phone numbers and e-mail addresses, available on this web site. In an emergency requiring immediate police response please call always 100 or report to the nearest police authority.